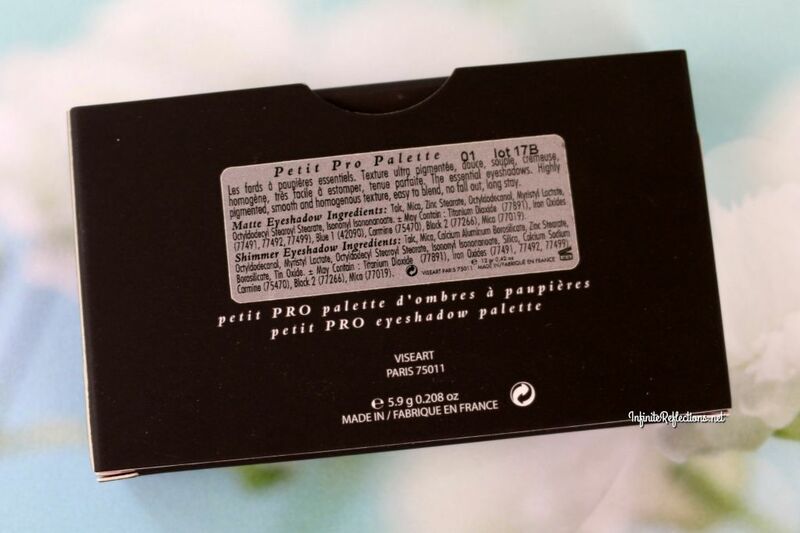 This palette is not called petit without a reason, its so tiny that it fits into your palm. I love the size of it and how compact it is considering it has 8 shadows inside. It is indeed a very well designed palette and is soon going to be one of my travel staples. 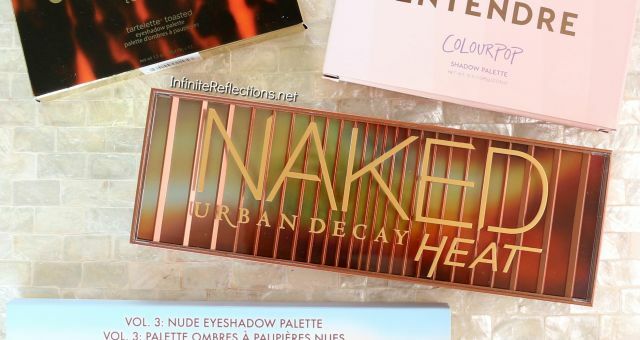 I have always wanted to get an eyeshadow palette which will be small and ideal for travel but with all the colors I would ever need. This comes very close to my vision, although I do miss a black shadow. I love the packaging of this palette. 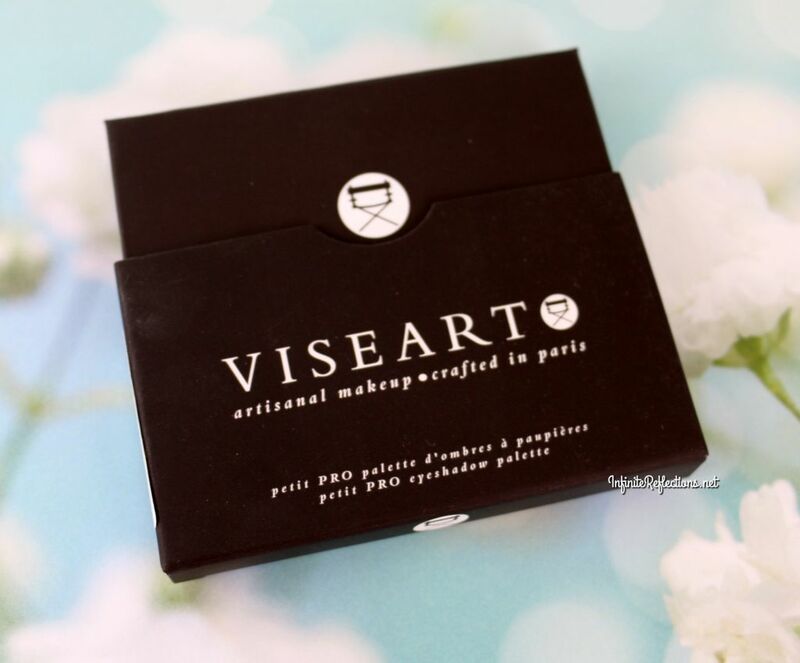 The eyeshadow palette comes inside a sleeve box and has a very sturdy cardboard packaging. There is a weight to the palette when you pick it up considering it is so tiny and doesn’t feel flimsy in any way. 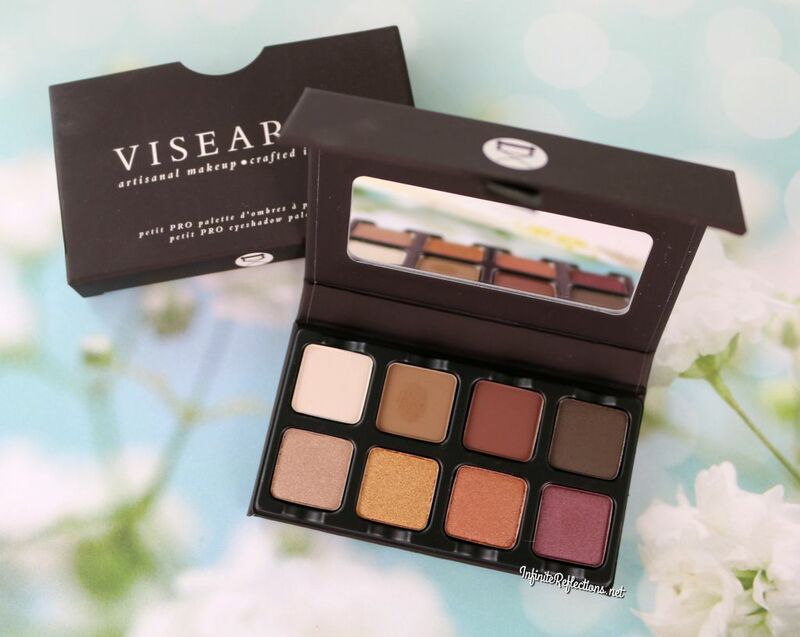 Even though it is very compact, the whole design of the palette feels quite luxurious. 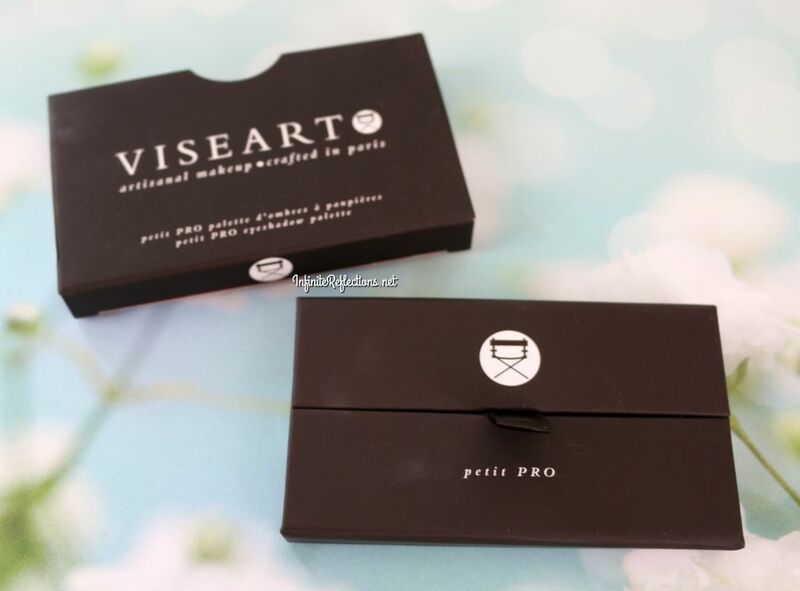 The cardboard packaging has a matte texture and is black throughout. The palette also comes with a tiny mirror which is very good quality. All in all, a very well designed, compact and a functional packaging. 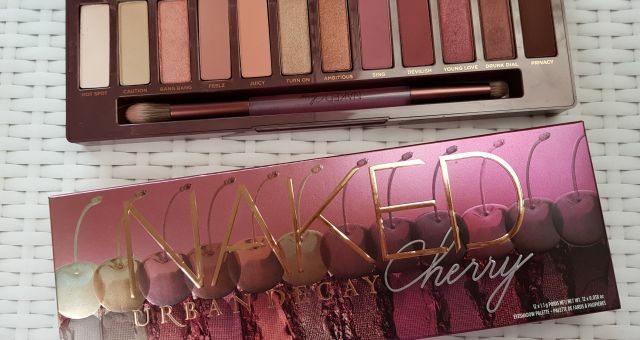 The eyeshadow palette comes with 8 eyeshadows and I fell in love with the colours. This palette has all the colors which I am usually drawn towards. The eyeshadows weight 12gm / 0.42 oz in total which is around 1.5 gm / 0.053 oz in each eyeshadow pan which is pretty standard to other palettes I have. So, quantity wise we are getting a decent amount. 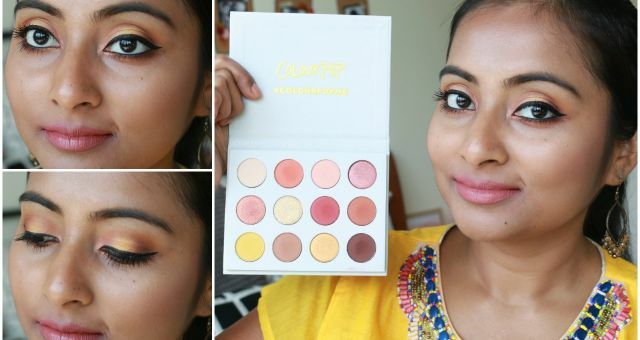 In Singapore, this palette retails for SGD 40.50. Considering the quantity and quality of the eyeshadows, I find it is quite a fair price point. 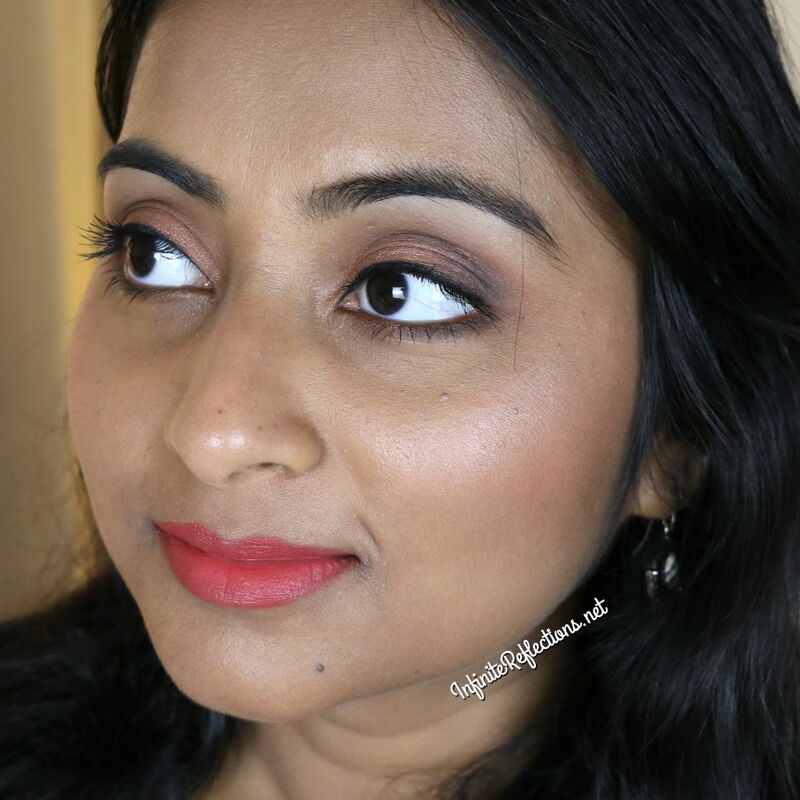 The eyeshadow has matte, satin and shimmer shades. The first row has 2 matte shades and 2 satin matte shades. The second row has all shimmer shades. 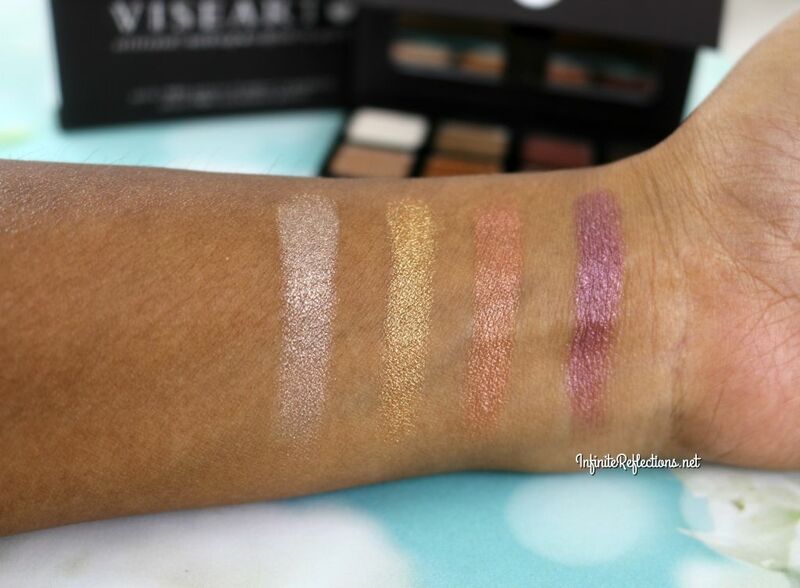 After trying this palette, I can understand why the whole world is going gaga over these Viseart palettes. The shadow quality is amazing. 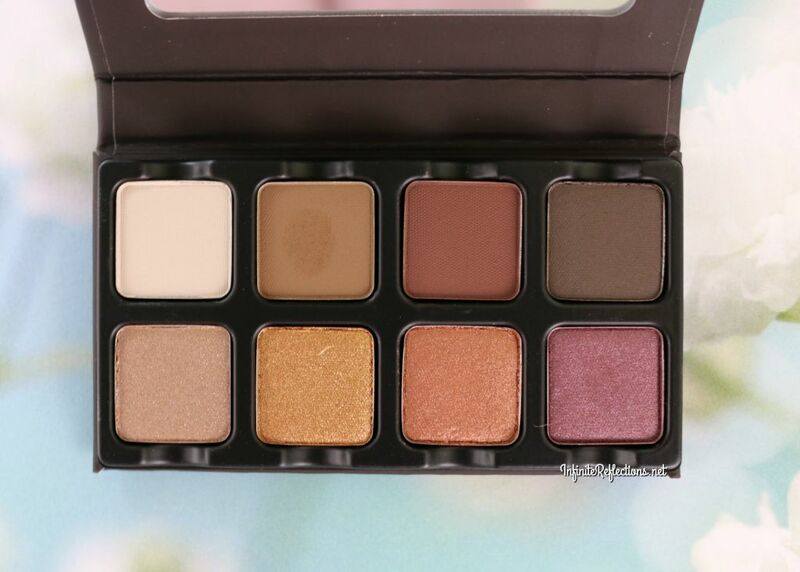 The pigmentation is outstanding and each of the shadows are extremely pigmented. They feel soft and they just blend themselves. I had to put in some extra effort to blend the satin matte shades (Row 1: 3rd and 4th) but all was good. There is no fallout from any of the shadows. The shimmers are extremely soft and give a uniform shimmer effect on the lid. They are also extremely easy to work with. For full intensity, I did go in with my fingers for the shimmers as I do with almost all of my shimmer shades. These shadows last the whole day literally, at least the days I have tested these out they lasted 7-8 hours on me. I did use a primer before applying these shadows. They keep looking beautiful and intense for a very long time. There is no patchiness or any kind of fallout. 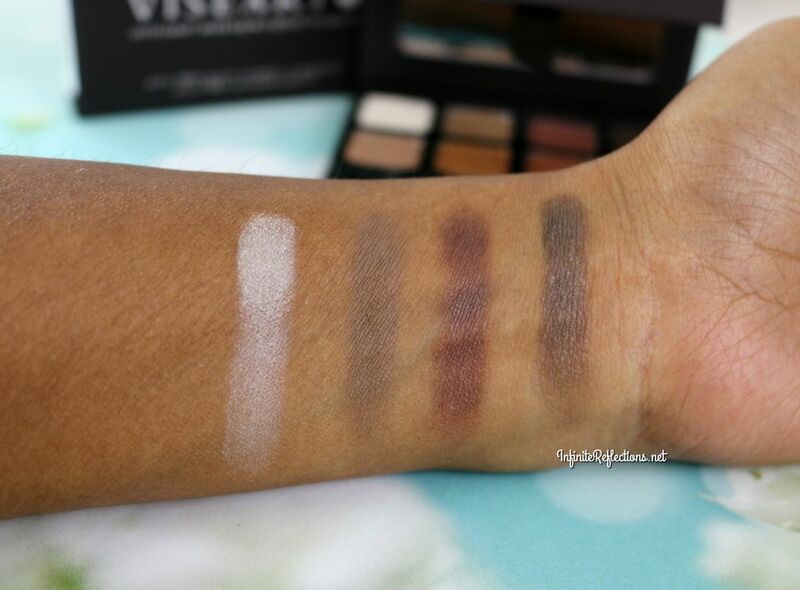 This is a very quick eye-look created with this palette just to test out the shadows. I know the shimmer doesn’t look that intense in this photo but in person it was looking really vibrant. 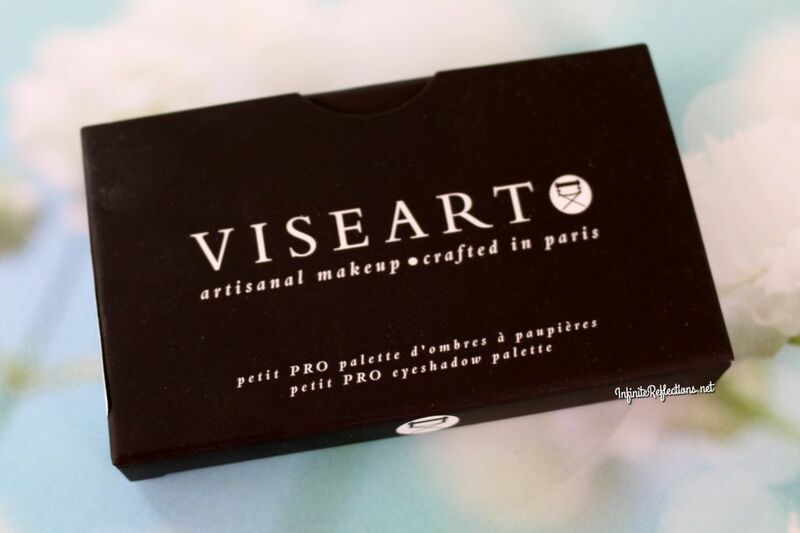 Overall, I would say that if you are also one of those who wants to try out a Viseart palette but don’t want to commit to spending so much, then this is a good option. The size makes it very travel friendly and the colours are very suitable on any skin tone and are all wearable shades. 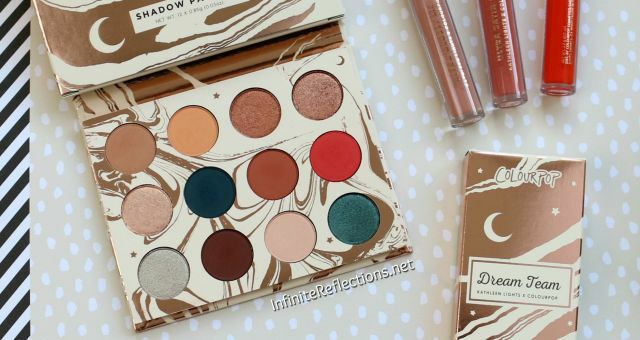 I am sure the shadow quality will not disappoint and this can be one of the staple palettes which you can use every single day. Yeah.. I m in love them too! Yeah.. they are going to be very useful..
Ooohh.. They are pretty pricy. I am currently working on a dupe for the neutral palette. Awesome!! Will wait for it 🙂 Thanks for visiting!